The most important issue in producing and directing a promotional video is the ability to capture the individual character and atmosphere of your School or College. At Disc Makers we work closely with senior members of staff and create the mood and sensitivity that will make your promotional DVD different and individual. It is important that the feeling, commitment and dedication of staff is communicated effectively to prospective parents and students. The use of past and present pupils as testimonials is an essential part of the overall promotional video, and we will advise on this essential part of the filming. 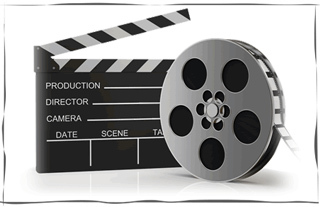 Disc Makers offer a complete service that takes all the problems out of planning and creating your DVD, and will make the filming day to be as stress free as possible. Cost is always a major consideration, and will work within your budget to give you the best quality at the most competitive price. For example a 4 - 6 minute promotional DVD costs from £1,750.00 + VAT and finished full colour printed DVDs from 50p each. Filming of a Promotional / Prospectus DVD (running time: 4 - 6 minutes). We would welcome the opportunity to visit the school (with no obligation to proceed) and discuss how we may work with you. Our education marketing consultant will advise and guide you through the design and technical aspects of the video filming, what’s more, will work to meet your deadline. If you require further information, please call us on 0845 130 2200 and we will be pleased to answer any questions and if required arrange a convenient meeting date.